This is a picture book in pdf format. It will support many standards in reading, science and social studies. It has a strong story sequence. While it has been written as a narrative text, it contains many nonfiction details. 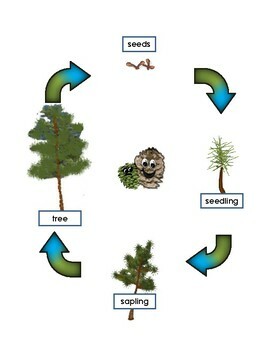 It is great for teaching state symbols and about trees being renewable resources. 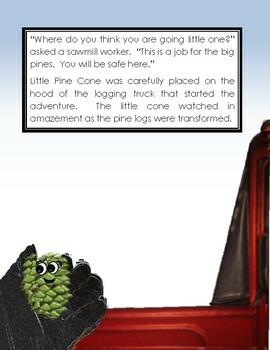 "Little Pine Cone is ready for an adventure. Little Pine Cone finds that it can’t do the job of the big pines. However, the job awaiting may be more important. 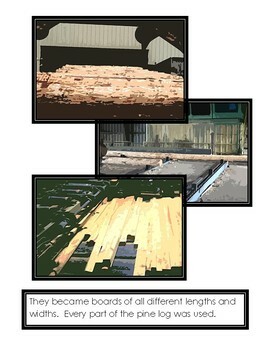 This story details the life cycle of the pine tree and gives an inside look into the milling process. The author wrote the book to help young readers understand the significance of the pine tree in her home state of Arkansas. Alabama, Idaho, Maine, Michigan, Minnesota, Montana, Nevada, New Mexico, and North Carolina also recognize a species of the pine tree as their state tree. 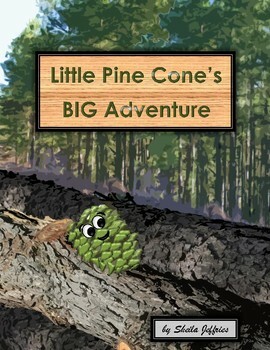 Little Pine Cone’s BIG Adventure is a children’s book recommended as a read aloud for ages 5-10. The book can be independently read by most children in second grade and above."